Consultants behind plans to build homes on a city golf course have hit back at opponents, claiming it is debt-laden and unsustainable. 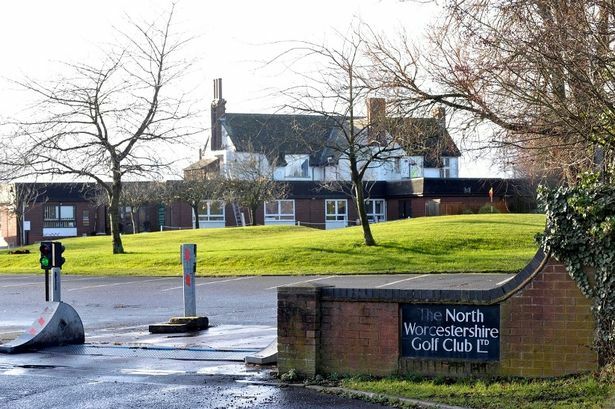 North Worcestershire Golf Club, in Northfield, has agreed to sell up to housing developer Bloor Homes, which is expected to mean more than 800 homes being built on the 80-acre site. The move has been opposed by both Labour and Conservative politicians in the ward, but Andrew Lamb, of property consultancy Harris Lamb which is advising the club, said income is dwindling and it is currently unsustainable. He said adult male membership fell from more than 400 in 2005 to only 276 last year, meaning income has dipped by £130,000. This followed an extraordinary general meeting of the club’s members, in which more than 80 per cent of shareholders voted to change the club’s articles to enable alternative use of the course. Mr Lamb said: “The club has tried discounted membership, course improvements, and special offers to attract new members and visitors but I’m afraid, with over £350,000 per year needed to simply break even and 80 per cent of their income coming from membership fees, they’ve been fighting a losing battle. Hundreds of signatures have been collected on a petition against the proposals and Birmingham Northfield Labour MP Richard Burden has also opposed the development on his website. Conservative parliamentary candidate for Northfield Rachel Maclean told the Post she had been made aware of concerns from local residents. She said: “We are reacting to people’s concerns. We have put our own surveys out there and the residents are concerned about the adverse impact to the area. However, Mr Lamb said the board members are seeking assurances that a significant part of the site will be used for a range of community facilities and benefits alongside any proposed housing. This could include playing fields, footpaths, cycle-ways and extensive public open space that could be enjoyed by all local people. He said local councillors and other politicians were informed of the dire financial situation over 12 months ago but, despite promises of assistance, the club’s difficulties have since deteriorated further. In a statement, Harris Lamb added: “As a result, the club is in serious and worsening debt and, with a looming threat of liquidation, finds itself with no other realistic option but to consider the sale the site for development.